Can Log Homes be Energy Efficient? Are you dreaming of building a log home? Do you have concerns about emerging energy codes and rising energy costs? 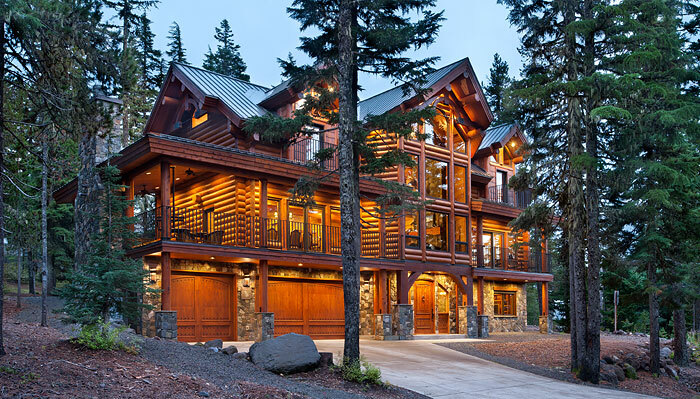 Are you wondering if log homes can be energy efficient? The answer is a resounding yes; log homes are energy efficient. Trees are the ultimate natural renewable resource. It takes minimal effort and material to cut and manufacture a log home with whole log walls as compared to manufacturing 2×6 boards, insulation, and drywall. Logs are excellent insulators with naturally-occurring air pockets that hold heat and cold to maintain consistent temperatures. Using eco or water-based stains in conjunction with natural log walls provides a healthy living environment. R-value is a measure of thermal resistance through a building element. In other words, the insulating value. The R-value of a log is about 1.0 per inch of thickness, so a 6” log has an R-value of 6, while 12”-16” logs have R-values of 12-16. Where R-value registers resistance, U-factor measures the home’s overall heat conduction. To fully grasp the significance of U-factor, compare a concrete slab or metal pipe to a block of wood in cold weather. Which one is colder? Hint: it is not the block of wood. Keep in mind that the energy efficiency benefits of log walls are only as good as the construction methods that produce them. To maximize energy efficiency, you must have tight connections, low-e windows, and a well-insulated roof. Still not convinced? Here is some energy efficiency information about past PrecisionCraft clients’ homes. An Oregon couple’s ski retreat was the first log home to receive a LEED Platinum certification. With detailed planning throughout the design phase, smart material selection and the use of log walls, this home was able to achieve super-efficient scores. View photos of this log home in their residential photo gallery.